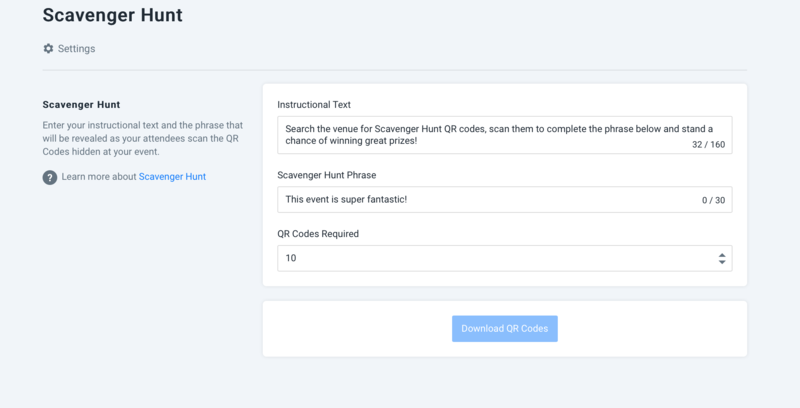 Create a marketing phrase of your choosing, decide on the number of QR codes you required and as your attendees discover and scan the QR codes around your event, we reveal portions of the phrase until the entire phrase is revealed. Enter your phrase/slogan and select the number of QR codes you would like. For example, "This event is super fantastic!". QR Codes for your phrase will be available to download on the dashboard to print and to place around your event venue or at exhibitor stands. 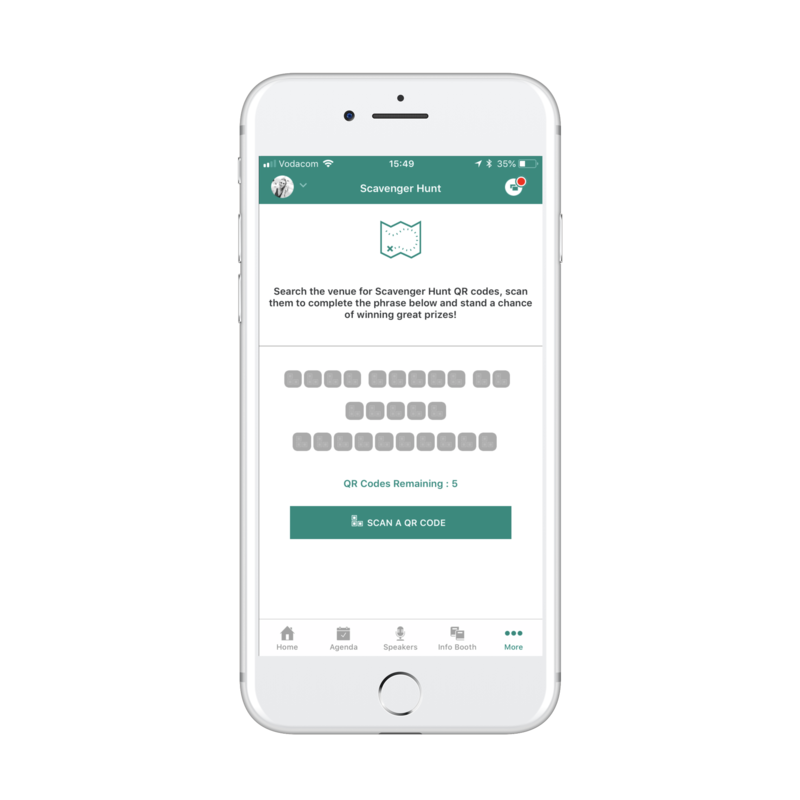 As your attendees make their way around the venue and scan the codes, the app will reveal parts of the phrase until the entire phrase is revealed and they go into a draw to wins prize.